<firstimage=”//static.makeuseof.com/wp-content/uploads/2011/03/intego.jpg” /> It’s been said before that Mac users simply don’t come under target as much as Windows from viruses and threats. That said, it’s always better to be safe than sorry, and the ultimate protection for Mac users probably comes in the form of Intego’s VirusBarrier X6. With VirusBarrier X6, Intego has combined two of their products, providing both a virus scanner and an internet security suite in one tidy package. This week, we will be giving away 25 standard licenses for Intego VirusBarrier X6 for Mac worth over $1200, and each standard license includes protection for up to 2 Macs. So stick around if you want to win but first, let’s take a look at that it has to offer. For those interested in purchasing the more complete security suite, Internet Security Barrier X6, we have an exclusive discount for you after the jump. On first launching the program, the Setup assistance introduces you to the many features of the program, after which you can configure it to suit your personal needs. VirusBarrier X6 provides two kinds of scanning services: on-demand scanning and real-time scanning. On-demand scanning allows you to run a full scan of your computer to make sure that all is in order, it is recommended that you run a full scan upon installation. Real-time scanning, which can be toggled on and off, allows you to run constant background scans of all files that are downloaded from the internet. 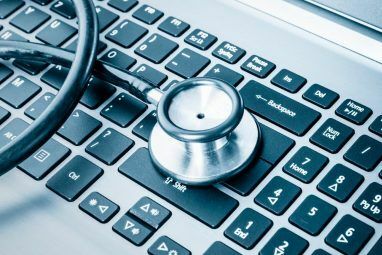 Basic scan settings also include choosing what to do when malware is found and whether or not to remove quarantine markers after scanning uninfected files. 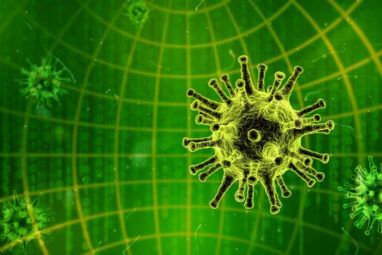 Advance scan settings include what items to scan, and which threats VirusBarrier X6 should look out for, including Mac OS, Windows and Linux threats. 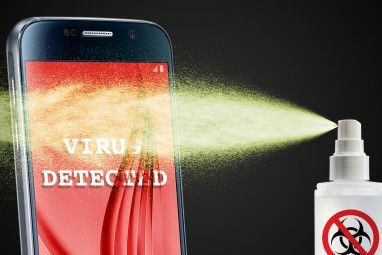 When connected via USB, VirusBarrier X6 can also scan for malware on the iPad, iPhone and the iPod Touch. You can also set up a scheduled scan on a daily, weekly or monthly basis, as well as automatically scan external drives when they are hooked up to your computer. VirusBarrier X6 also includes anti-spyware features, found under the Privacy tab, which can be turned on and off, and can be configured to deny or allow out-going connections. Virus Barrier X6’s works as a typical two way firewall, keeping an eye on all incoming and outgoing traffic, allowing you to block traffic coming in from outside your network. It also protects your computer from Trojan Horses. Other features in VirusBarrier X6’s packed arsenal include anti-phishing, anti-spyware and blocking incoming and outgoing traffic from specific IP addresses, while the Overview tab gives you an idea of all of your main settings and scan results. For a full list of features, check out the VirusBarrier X6 page on Intego’s website. The giveaway code required to activate the form is available from Friday’s newsletter or on our Facebook page. This giveaway begins now and ends Friday, March 11th at 2100hrs PST. The winners will be selected at random and informed via email. Buy now directly from Intego’s online store. MakeUseOf would like to thank Intego for their generosity while participating in this giveaway. Interesting in sponsoring? We’d love to hear from you. Get in touch with us via email. Thanks for hosting the giveaway. I'm only a couple of weeks into using a Mac. This would be a great opportunity to stay safe. Please enter me in the contest.